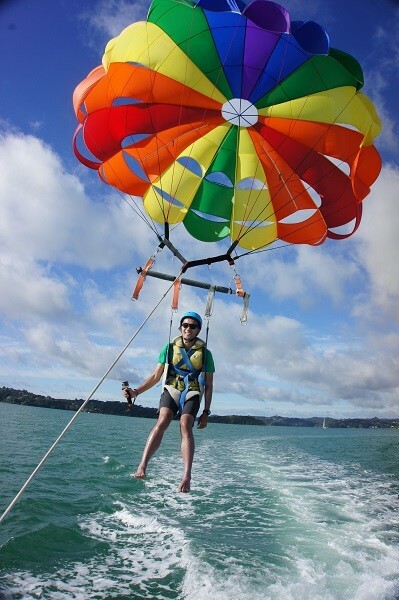 NZ’s highest Parasail! 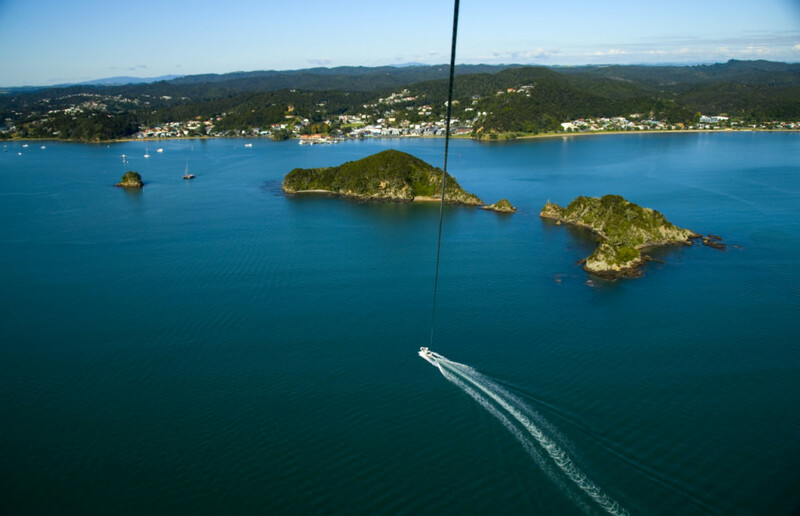 Enjoy a breathtaking view over the stunning Bay of Islands at 1300ft of towline. 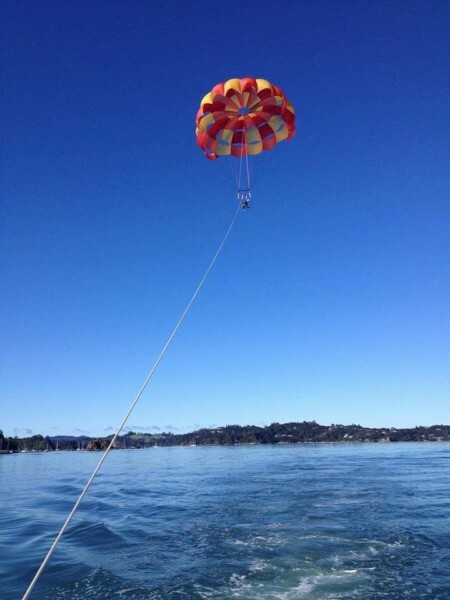 Paihia’s ORIGINAL parasailing, operating in Paihia for 18 years and counting. 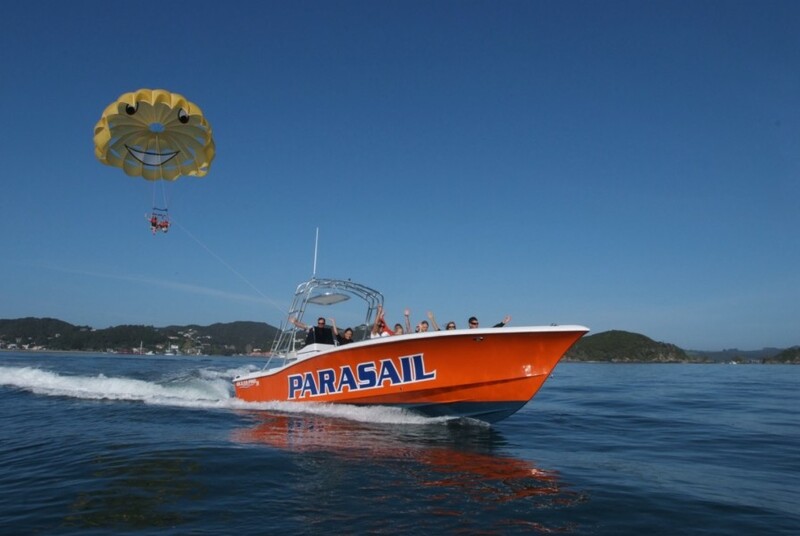 Gently take off and land from the back deck of our purpose built parasail boat. 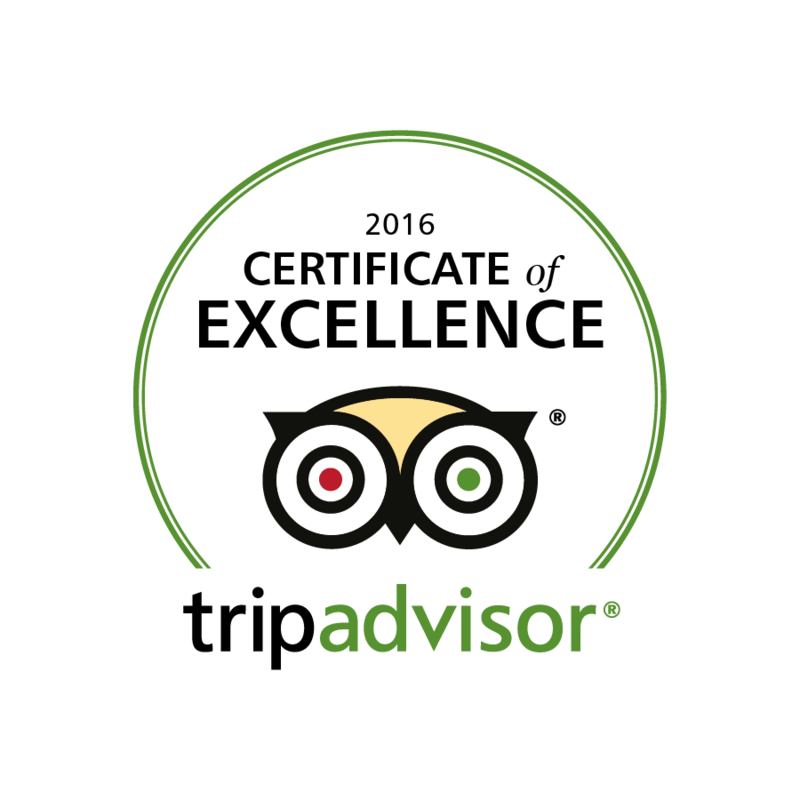 No experience required and suitable for the entire family. 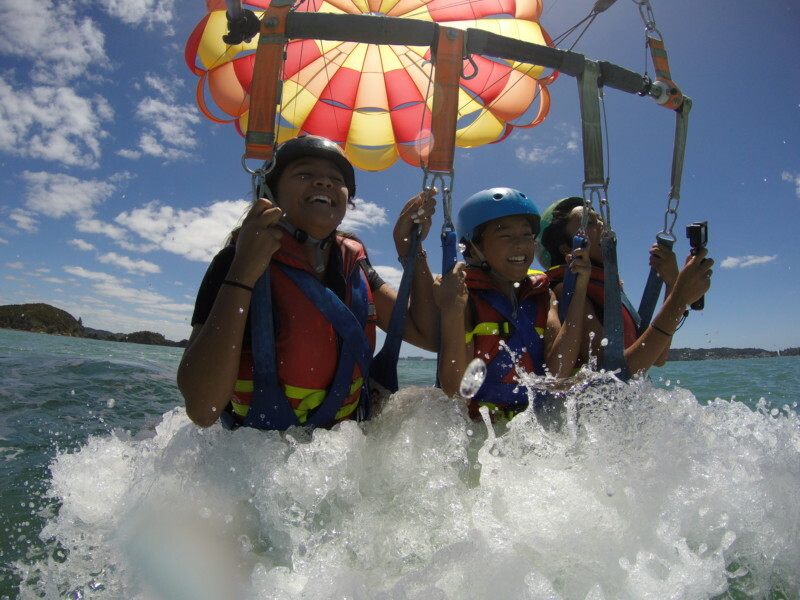 We offer Single, tandem and triple flights. 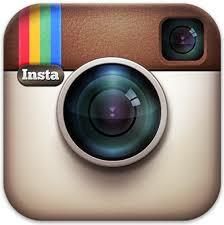 No age or physical restrictions. 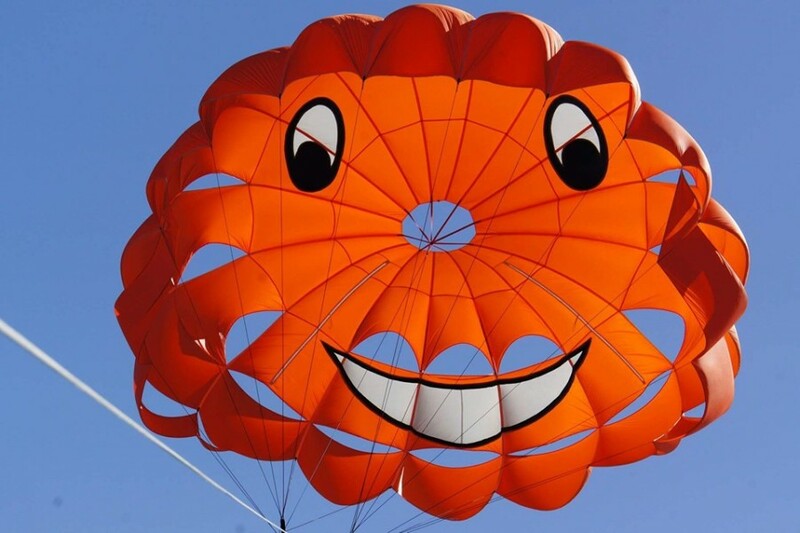 No getting wet! 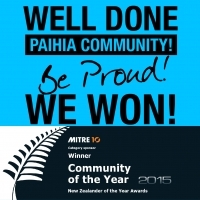 (unless you want to) 100% safety record. 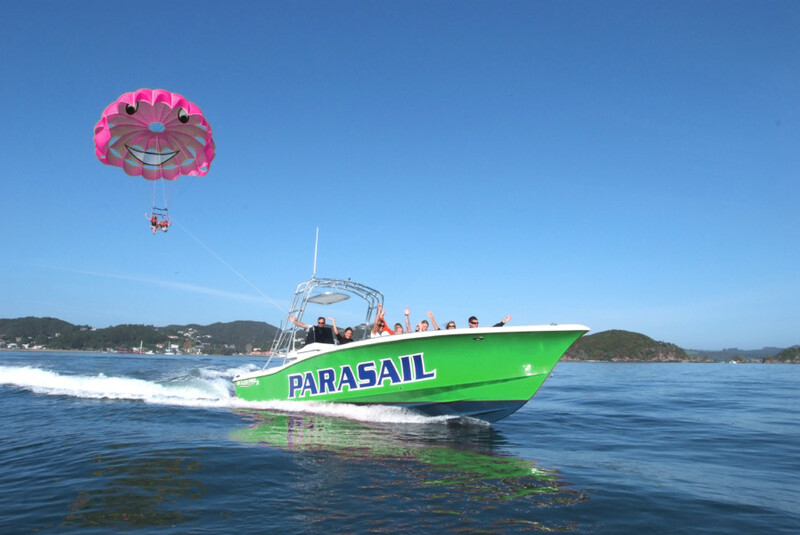 Our skippers and crew have combined 30+ years of experience in the Parasailing industry. 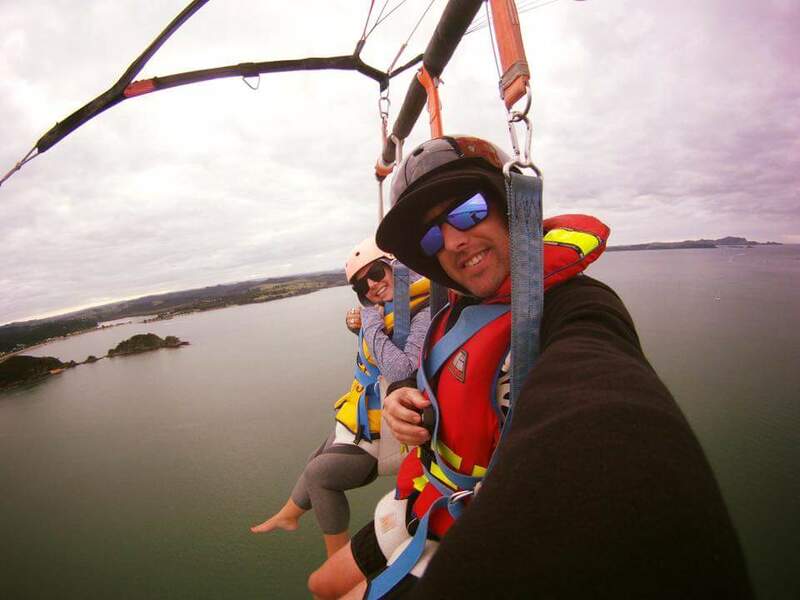 We welcome our new boat Nauti Kiwi into Paihia this summer – two awesome boats, and heaps of fantastic chutes for perfect pictures!